There are more nuanced and detailed questions in the survey, which you can download here. This includes questions about mitigation, and questions on the shift in thinking of AMS members over the past couple of years. 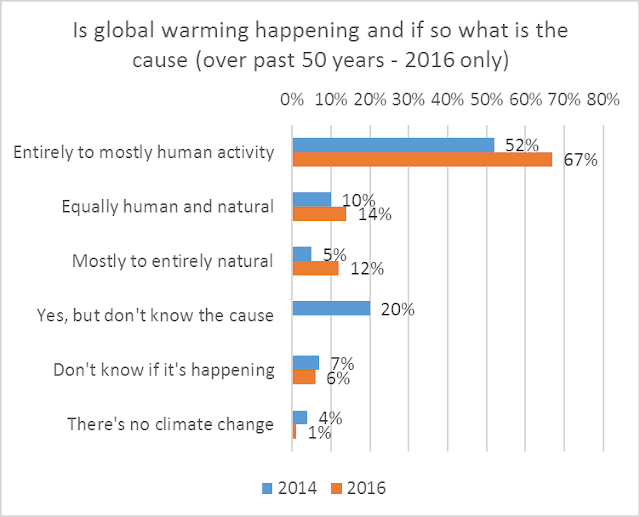 Eighty seven per cent (87%) of the 17% who had changed their thinking said they were now more convinced that human-caused climate change is happening. Thirteen per cent were less convinced. The next time some denier quotes the old AMS survey results at you, you can now point them to this latest one showing that a not insignificant number of AMS members have learnt something more about climate change in the past couple of years. 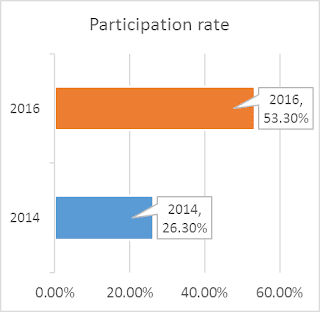 The doubling in the participation rate may well be important for the change. The mitigation sceptics are quite, let's say, active. It will be interesting to see the results broken down by respondents' levels of education, fields of specialization, and expertise (e.g., by climate research publication activity or other metrics), but it wasn't done in the short initial report. Robin: Batshitman!!! The AGW conspiracy is about to crush more skeptic arguments under its vast warmist wheels! Batshitman: Quick, Robin, to the batshitcave and the meme generator! Robin: ...I think it's broken. A working one would output "Al Gore is fat"
"It's not exactly a repeat, but the questions are not dissimilar. " In general, design of good surveys is very tricky, and is rarely done well by people without the relevant survey-design expertise. Even experts screw up, but this one was much better. obtained had we asked about a 50-yr time frame." That was from the earlier survey, and they fixed it in this one. Even minor differences in wording can make a difference. I once heard a great talk by Jon Krosnick at Stanford with examples of that. The education level is interesting. Only 66% hold a bachelors' degree, 50% a masters' degree, and 53% a PhD. There might be under-counting, especially at the bachelors level, if some people either didn't list all their degrees or skipped over a degree. 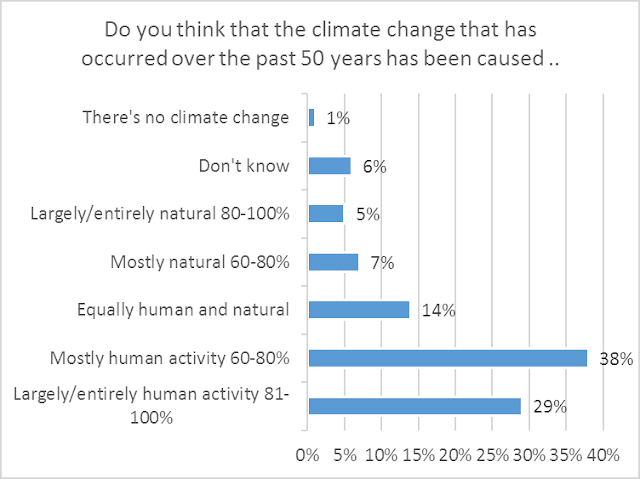 But I think it reasonable to conclude that a substantial proportion of those questioned haven't had much or indeed any education relevant to climate change, and given the age profile (>50% >50 years) their education took place a while back, probably before climate change featured heavily in most syllabuses. Yes, the age profile of respondents was interesting. 31% were at least 60 years old. 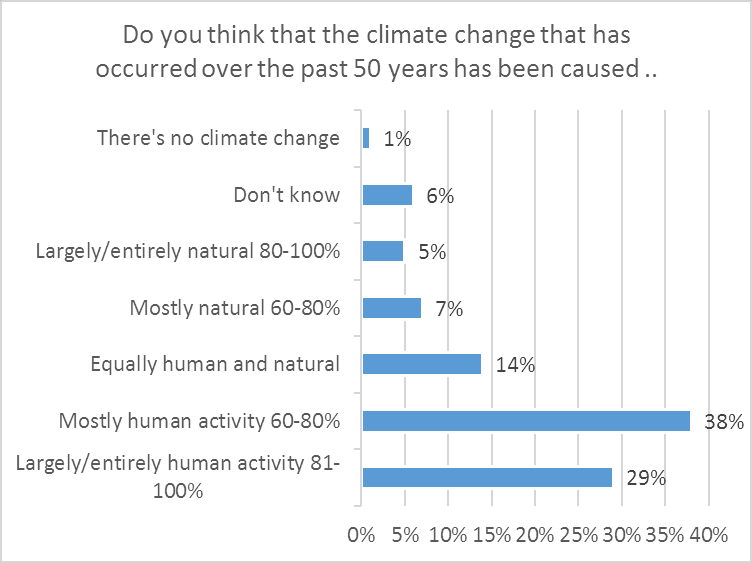 The other thing is that 57% didn't consider themselves expert in climate science, which doesn't surprise me. 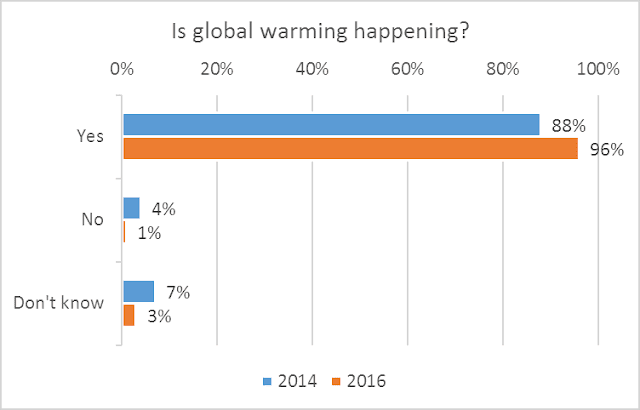 As I understand it, the AMS is mostly for weather people, not climate science researchers. After the first study one of the recommendations was educating AMS members. It seems to be working, though there's still a way to go.